Two weekends ago, Deary (my husband) and I went for a quick weekend getaway to Bintan, Indonesia. It wasn't actually a planned trip. We booked the resort just two days before our departure date and booked the ferry tickets on the day itself. The good thing is that when we arrived at the ferry terminal there are still available seats for the next ferry to depart which is about 45 minutes from the time we made the booking. Talk about good timing, eh. To get to Bintan you have to take the ferry from Tanah Merah Ferry Terminal. If you're taking the train, alight from Tanah Merah MRT station and take the exit at exit B. Walk to the bus stop and take Bus 35 to Tanah Merah Ferry Terminal. Bus 35 will drop you to the terminal grounds. We stayed at Bintan Lagoon Resort which fortunately has it's own ferry terminal and immigration office inside the resort. So we took the ferry direct to the resort which takes 1 hour and 20 minutes ferry ride. 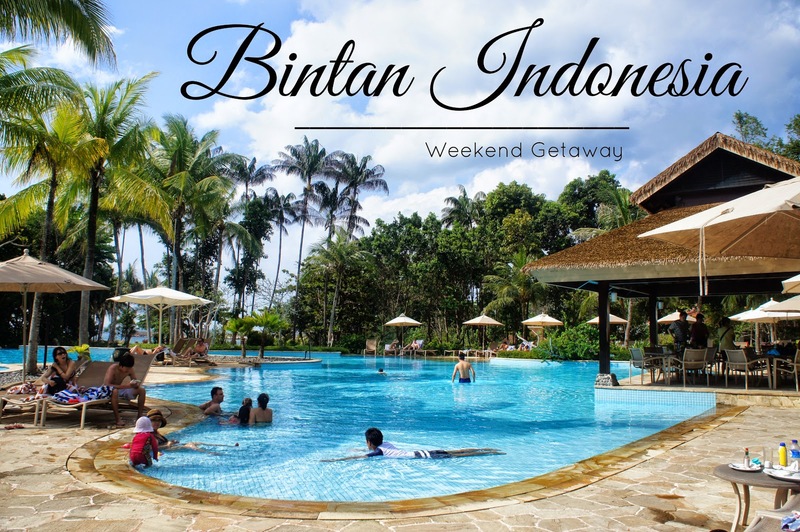 We only stayed for 2 days and 1 night at Bintan Lagoon Resort. We didn't explore much of the Bintan since our time is very limited and we just wanted to chill and relax during our short stay at the resort. All in all, we've spent $577.99 for 2 pax. It's actually quite expensive, but this already includes your ferry ride and stay at resort. Unlike in Batam, we didn't change our SGD's (Singapore Dollar) to IDR's (Indonesian Rupiah) because most of the prices in the resort are in SGD's which, by the way, I find a bit expensive. We'll when you stay in a resort it's a given that prices are a bit expensive compared to outside local prices. I've mentioned above that we stayed at Bintan Lagoon Resort during our quick weekend getaway from Singapore. I'll be sharing the resort to you in much detail in my next succeeding post. But I'll give you an idea of how it looks like for now. Where did you spend your last trip to? Feel free to share it with me in the comment section below. What a beautiful place! My last spontaneous trip was to South Carolina. Our Friend surprised us on our anniversary. Now this looks like paradise.